I was intent on photographing sunrises and sunsets. I did my research. I knew the times and azimuth for each day. Two weeks on the east coast in a cottage on the ocean. Unfortunately, the weather didn’t cooperate. Each day I would rise up in the wee hours of the morning and sneak out of the cottage without waking anyone. I would climb into the truck and head out to some local spot I had scouted the day before. Each time I was faced with rain or thick clouds. This day I got fog. Well, that’s an improvement; I can work with fog. I was reminded each day how hard it is to get a picture you feel good about. They don’t just make themselves. Despite not having perfect sunrises and sunsets while I was there, I made the best of the conditions and was pretty happy with what I came back with. Just have to be flexible. But everyday, I got up, ever the optimist. What was funny was the first day had a beautiful sunrise. My wife joked saying it would be unfortunate if that was the only one I got. I need to listen to her more often. 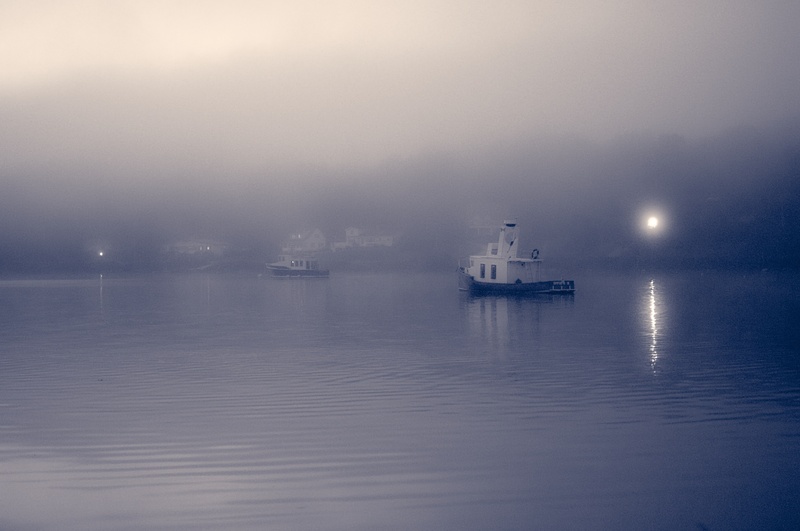 This entry was posted in Low Light, Nature, Travel and tagged event photography, Fog, low light photography, Mahone Bay, Nova Scotia, outdoor photography, travel photography. Bookmark the permalink. The photos are great. 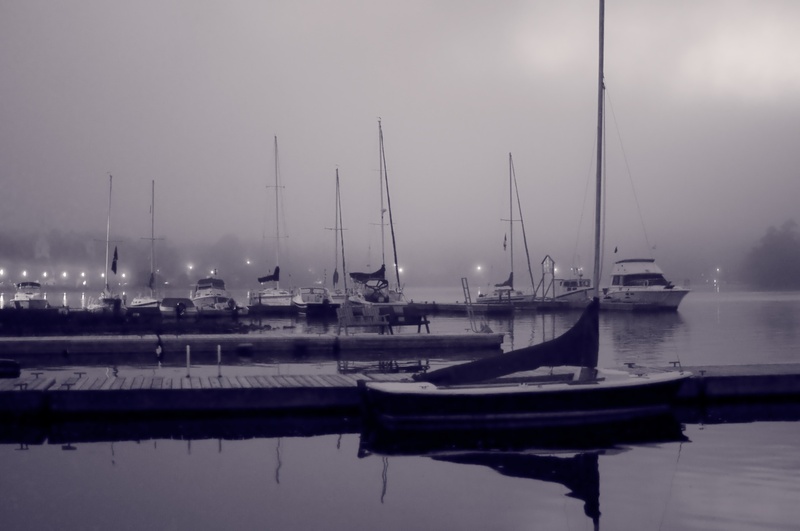 The fog creates a good mystery. I really like the ways the lights shine through these photos. I just discovered your blog and will be signing up.